HEY DENVER! 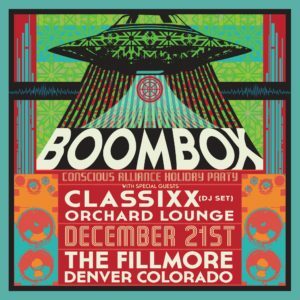 We’re thrilled to announce that we’ll be heating up the Fillmore Auditorium on FRI 12/21 with special guests Classixx (DJ set) and Orchard Lounge! 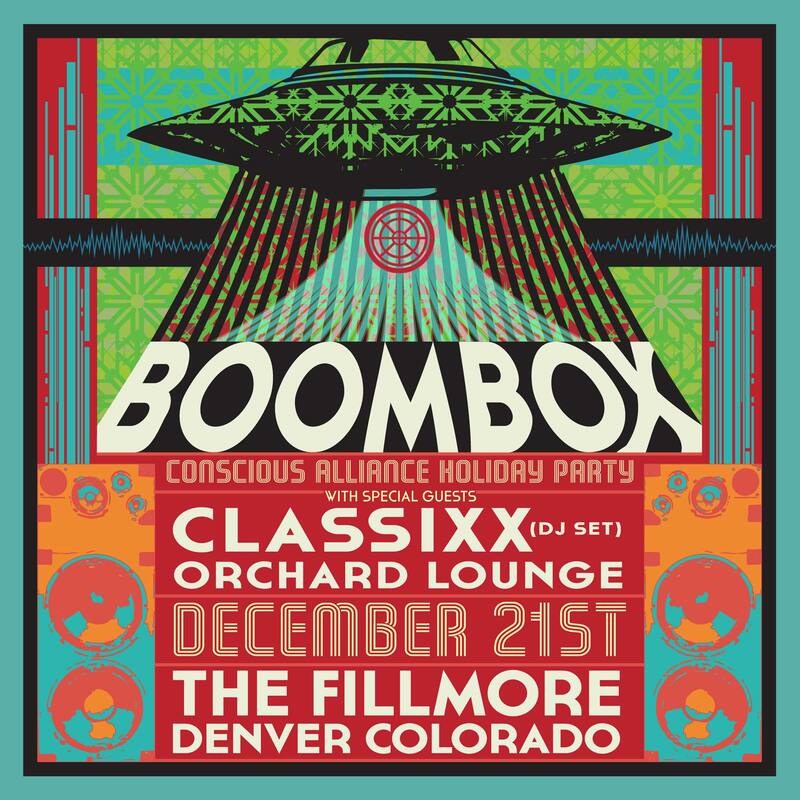 Limited Conscious Alliance VIP packages (50) also available that include a special soundcheck party with BoomBox, a Meet & Greet + poster signing, VIP viewing area, and more!